Congratulations ! I too , remember ‘anniversaries’ , & the 10 year anniversary will be in October since I had my ‘ op ‘. I’m basically retired , except for a few small jobs as a self-employed signpainter & I participate in several strenuous sports. I also do a few hours volunteering each week at my local Ostomy Association & have made many new friends . well i guess no one has any advise so .i will go on till ithey find something. taking way to many laxatatives. no choise. thank you for listening to my story. Dorothy, try posting on my FB page. There are usually more people who will come across your questions there! Hang in there, Stephanie! Women can experience complications during pregnancy without having an ostomy. In 11 weeks, you’ll have another wonderful and healthy child. Your pregnancy would have been much risky and difficult for you and your babies without your ostomy. Once you deliver your baby, it’ll be business as usual with an ostomy. We look forward to reading your blog updates in a near future! If you are in Houston I’ll gladly spend a few hours a day with your 2 yr old. They can wear you out when you are healthy. I shall now get involved with local ostomy group to see if I can help. If nothing else, your stories help and motivate us all. Thanks. Thank you for sharing your life. It gives encouragement to others. God bless. I’m so sorry to read of how things are going for you! There will be good years and days ahead of you, I’m sure. You helped me remember that while things are bad right now it’s not forever, and there’s a lot to look forward to. We can still eke out a happily ever after despite it all. I was diagnosed with parastomal pyoderma gangrenosum in October, then in February with pre-diabetes. I still don’t know why I’ve lost about 30 pounds in about a year for no reason. One thing for sure, life with an ileostomy is never dull! Thank you for your posts — hope you have a good post-delivery recovery and a healthy baby. Sometimes I wish I still had my colon and not have to deal with the bag all the time but then I remember how awful it was to live with ulcerative colitis. Ostomy Anniversaries I understand, but I can’t relate I had a my “permanent” ostomy at surgery #13 for IBD, and that’s just way too many dates for me to remember! 😉 I’m so glad to read all these posts! Especially the ones regarding your pregnancies because it’s nice to see this disease didn’t keep you from the joys of being a mom. One more victory, among many, but each one counts! SO soory to hear you are having a hard time. wish there was something i could tell you. 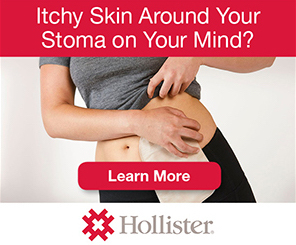 i had ostomy for two years and my life was a nightmare ever since. it wa given to me for ibs you imangine? well im still the same bloting taking all kinds of meds and my whole life resoles around it . if i ahve a good day and manage to empty my bowel then im happy but not for long, so this is on going i dont know the end just that they are runnig out of laxative to give me,im going to try acupunthure you never know eh ? Stephanie are you doing better? I am worried about you. Hey Richard, I am doing alright. Still have a lot of concerns for this pregnancy but overall things are good. Thanks for checking in! Stephanie, I commented on your last post and thought I’d update you. I could’ve been writing your most recent post myself. I too spent a lot of time in hospital and with a catheter around the beginning only my third trimester, and I spent the final 9 weeks of my pregnancy on a liquid diet (very happy to make suggestions if you’d like them, email me!). 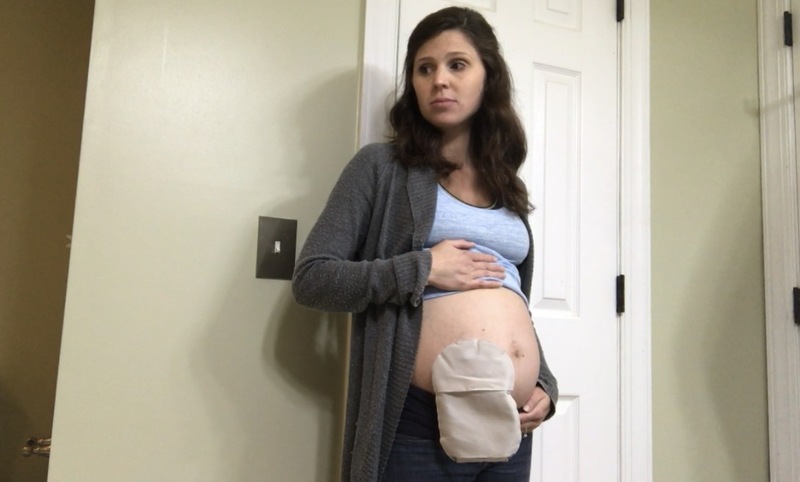 I’ve had my ostomy for 13 years and never once resented it until being pregnant. My daughter was born exactly one week ago and, despite concerns of growth restriction, was in the 33rd percentile for birth weight in the end. Today has been a hard day as a first time mum, but she is still perfect. I’m 29 weeks and a few days and was discharged from the hospital a few hours ago after my first blockage. Can you share any smoothie / liquid recipes you’ve been relying on? I’m trying to figure out how to get the calories and nutrition baby needs with a mainly liquid diet. Thanks in advance and congrats on your second little one! Whitney, Congratulations on the pregnancy! But I’m so sorry you’ve dealt with blockage issues, too. So what I’ve been doing is juicing to consume some veggies without the fiber. Carrots, celery and apple is the easiest and tastes pretty good if you’re not used to juicing. I also keep a lot of Boost on hand to fill the protein gap and using whey powder and spinach in smoothies. I’ve also been trying shakeology recently to get some good nutrients without all of the filler stuff that the other drinks have in them. As far as solids, I’ve been sticking to very low fiber. My rule of thumb is if it’ll dissolve in water, then I’m ok with eating it. Unfortunately, this mostly applies to junk food, but I have had no further issues since my hospitalization. I hope that’s helpful. Feel free to email me if you want to chat more! And good luck with the rest of your pregnancy!